The following discussions on mathematics are offered for your edification and asmuement. Note some of the information on multi-dimensional geometry is required reading for some of the discussions in the corresponding PHYSICS BLOG. Why do we need to study statistics? Why do they teach binary in computer classes? A man takes and annual physical and takes a routine blood test. The results of one test (which is 99% accurate) indicates that he has a rare disease (only 1 in 10,000 people have this condition) which is always fatal. If the test is true he has less than one week to live. How worried should this man be? Which is the best choice? Upgrade the truck (improving 6mpg)? 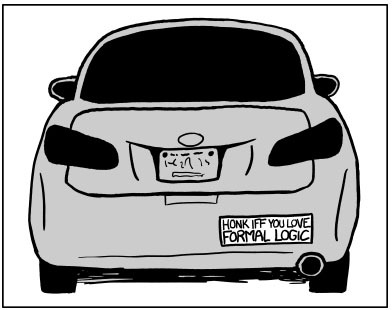 or upgrading the sedan (improving 20mpg)? Which saves the most gas? Stock A is volatile and over past years has consistently dropped 50% and then rebounded with an 80% increase. Assume that past performance will be repeated. Which stock should you buy? EXAMPLE 5 - Monti Hall - Let's make a Deal"
Two decades ago there was a game show called “Let’s make a Deal”. The final game each week involved selecting one of three prizes hidden behind large doors. One would have an expensive prize like a Hawaiian vacation or a car; the other two doors would be gag prizes like two dirty goats. If you select one door, you have a 1/3 chance of winning the car. 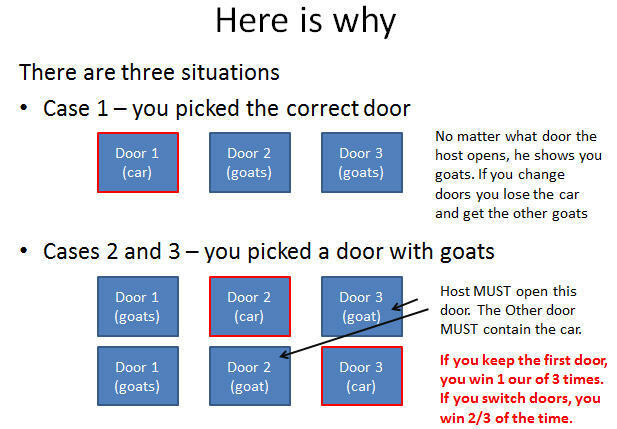 But after you pick a door, the host would always open one of the other doors and show you a goat and he would give you the opportunity to chance your choice and select the other unopened door. During the OJ Simpson trail in the early 1990's the prosecution endeavored to prove that OJ was an abusive husband. They produced witnesses, and photographs, and hospital reports and police reports and xrays showing how frequently Nicole Simpson was beaten and bloodied at hom eand in public places like restaurants and movies. Eventually the defesne team admitted that OJ was an abusive spouse, but they offered an interesting statistic. They claimed that there are nearly 2,000,000 abused women but that only about 1,000 of these women are killed. Therefore being an abusive husband would only mean that there is a 1 in 20,000 chance that OJ was a killer. Is this a good statistic? There are liars, damned liars, politicians, and statisticians. Did you hear about the woman who went into a pizza parlor and ordered a pizza. The attendant asked if she wanted the pizza cut into six pieces or eight. The woman replied, "Oh, just six. I couldn't eat eight." Who can count the cost of innumeracy? 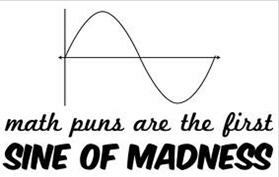 Did you hear about the two statisticians who got married? When they made their vows they "failed to reject" each other. 47.9% of all statistics are made up on the spot. 99% of all lawyers give the other percent a bad name. Every three seconds a woman somewhere in the world has a baby. That woman must be found and stopped! Question: "How many seconds are there in a year? "Answer: "Twelve. January second, February second, March second, ..."
Why are 2011 quarters more valuable than 2001 quarters? This is a bizarre topic. It is about a different numbering system than you have probably ever heard of before. It is Signary math. Then there are historical variants. Some early civilizations used base 12 numbering systems, duodecimal systems. Vestiges of these counting systems explain why there are 12 hours in a day, twelve items in a dozen, twelve inches in a foot, twelve dozens in a gross, etc. Early Bretons, Danish and early French used a “Vigesimal”, base 20 numbering system. Remnants of those counting methods remain embedded in those languages to this day. (For instance the number 80 is French is quatre-vingts, the French word for 80, literally means "four twenties”). Base 20 systems were also used by the Albanians, and the Basque, Irish gaelic and Welsh. It is “signary” math. It is a base 3 numbering system (ternary), but different from the normal base 3 math you math have touched on briefly in high school math classes. 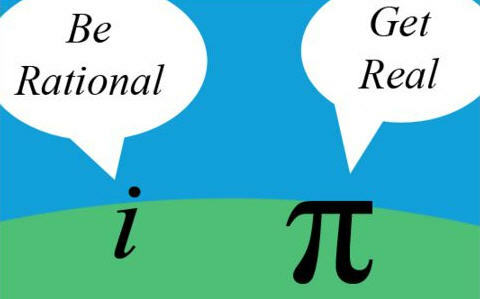 It is not ternary math, per se, although there are three symbols. In base-3 math, or Ternary math, you have three symbols, 0,1,2 and count. In ternary math you have three symbols (-,0,+) - They are a PLUS SIGN, a ZERO and NEGATIVE OR MINUS SIGN. Each number is a small equations. 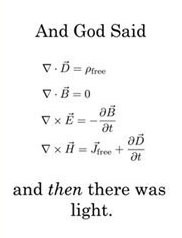 But then this is true with decimal math as well. For instance, 13 means one ten plus three ones. Arithmetic operations in singary are different... actually they are quite odd. For isntance, turning positive numbers into negative ones is done without leading signs. 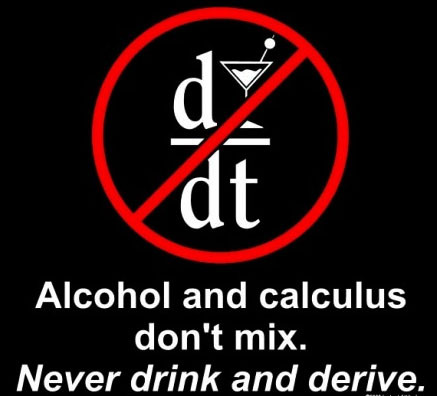 Instead you simply change all the plus symbols in a number to minus signs and all the minus signs to plus signs. 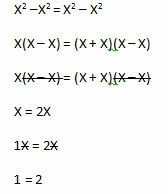 Multiplication and division but some numbers becomes trivial. For instance, when you multiply by three you just shift the numbers to the left and add a zero. … just like multiplying by ten in a decimal system. Similarly, dividing by three is trivially easy, You just shift the symbols to the right. Where binary numbering systems model two states (on and off) and correspond to binary or Boolen Logic (true/false), there are a few places three base states would be useful or where such a numbering system might work well. There are a few other places where signary math might be well suited. In programming for instance, were values might be evaluated upon ternary conditons such as (LESS THAN; EQUAL;GREATER THAN) but such applications are not common and are typically addressed with sequential or nested binary logic statements. 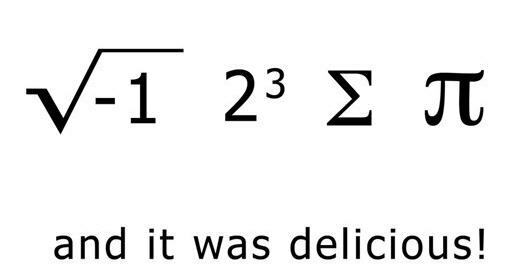 Anyway, it’s just an oddity for those who are seriously math enthusiasts. If you are one ...have fun! 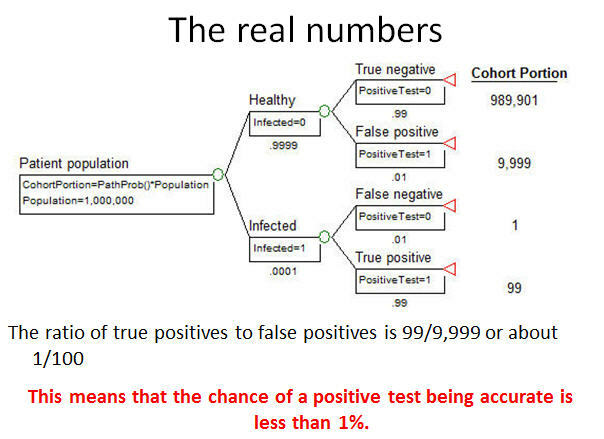 Because there are so many more negatives than positives, there will be many more false positives than true positives. If you had $200 in shares of both A and B what would have happened last year? Which stock should you have bought? Consider that if 10% of people are bank tellers, not all of them will be feminists. Therefore H must be lower than B. However, because since both B and F are deemed likely by most readers, perceptuallymost people mentally add the two likelihoods together, rather than noting that the combination must be smaller than either. EXAMPLE 5 - Monte hall – double your chances? But when the host opens a door showing goats, a non-random act has occurred. If you keep your current choice, you have a 33.3% chance of winning a car. You should definitely switch to the other unopened door! However, there is a fallacy here. It is so common that it is known as the prosecutor's fallacy. This statistic of 1 in 20,000 is being misused. Essentially, you are saying that given that OJ is an abusive husband, the odds of nicole Simpson dying are 1 in 20,000. So given that an abused wife has been killed, the question you should ask is "Of the 1,000 abused women killed each year, how many were killed by their abusive husbands?" For the year 1993, the year of OJ's trial, the answer was 90%.